Holiday Sanity is closed for the season. You can only find it in the Library of the Starship. Deadlines to announce for your shop. The holiday season isn't JUST busy socially, it's also the busiest time in your business. Balancing the two can lead to piles of To Do lists or post-it notes all over the house. And you, in the middle of it all, trying to keep all the balls in the air. This is not about having the perfect, Martha Stewart holiday. This is not about fulfilling all those obligations you think you should do. And this really is not about becoming another BUY BUY BUY holiday retailer. It IS about paying attention. Noticing and supporting what you want out of the season. Building a sustainable business that weathers any holiday storm. And it's about ending the season knowing that you kept your wits about you, your shop running and you spread a little holiday cheer. This is Holiday Sanity, and it's a simple system for remembering what you want to do and gently helping you do it. 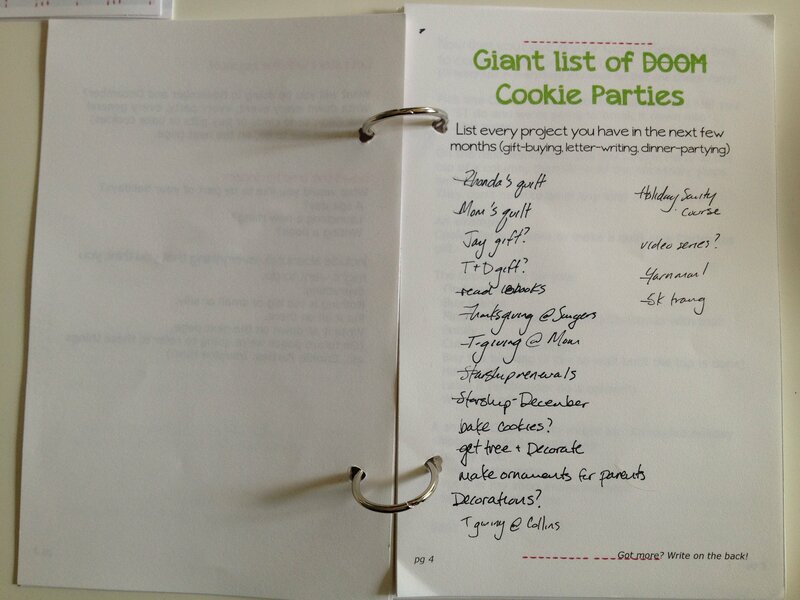 Holiday Sanity Guide – My crazy-proof plan for getting everything done. Playbook – 14 worksheets to help you remember, track and document the recipes, gifts, decorations and business-y stuff you want to do this season. 4 week Stay Sane email course – weekly emails to inspire, encourage and make sure everything is staying sane. Online Holiday Sanity group – daily questions to spark conversation, accountability and ideas. $5 from EVERY sale will still go to My Very Own Blanket to provide handmade blankets to foster children. Wanna know more about each part of the Kit? Instead of going on and on about planning, the Guide gets down to the action. The action of looking clear-eyed and honestly about what you want to do this holiday. How to figure out what needs to be done. How to make sure nothing falls through the cracks. How to pace yourself, so you're not scrambling at 3am on December 24th. The Playbook is the guts of your sane holiday and can serve as a kind of scrapbook of what your holidays actually look like. From your favorite recipe to your gift-giving list to the stories of your favorite ornaments, the Playbook gives you a space to capture it all, so nothing gets away from you. Get ultra-clear on everything you want/need to do and we'll piece it all together, in a low-stress, no-guilt plan of attack. Look at how you usually plan/implement and try different ways of focusing/scheduling/planning that may work. You'll experiment with different methods, ditch the ones that don't work and add new ones to your repertoire. Week 4: Stay Sane, forever. Keep the momentum going with a plan for the rest of your season. Stay sane with our online (private) Facebook Group! You'll get prompts, ideas, and gentle accountability several times a week, along with a chance to talk to the other Sanity-lovers. 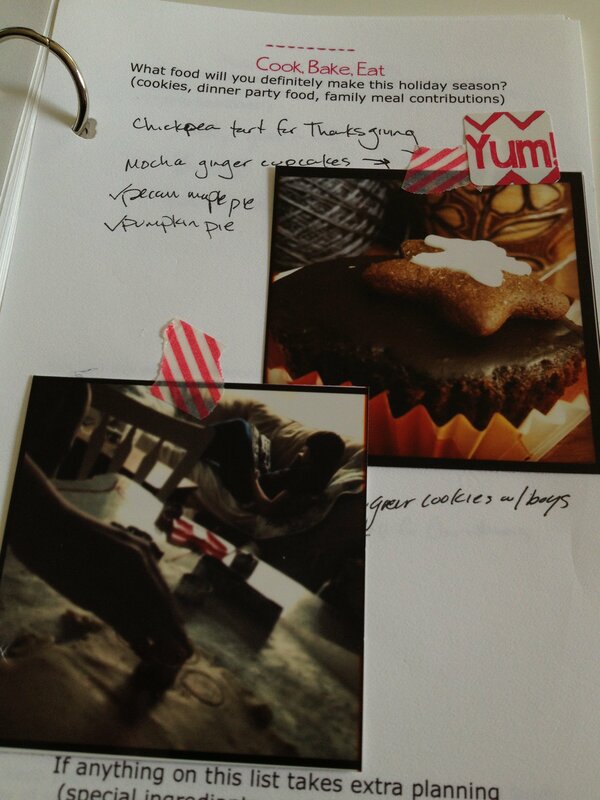 You can ask for recipe ideas, gift ideas or share your newest handmade goodness! I'll be sharing my projects, my lists, my holiday playlist, my favorite tutorials, and anything else I find that will make your holiday more joyful! You can find it in the Library of the Starship. Want to spread the Sanity? 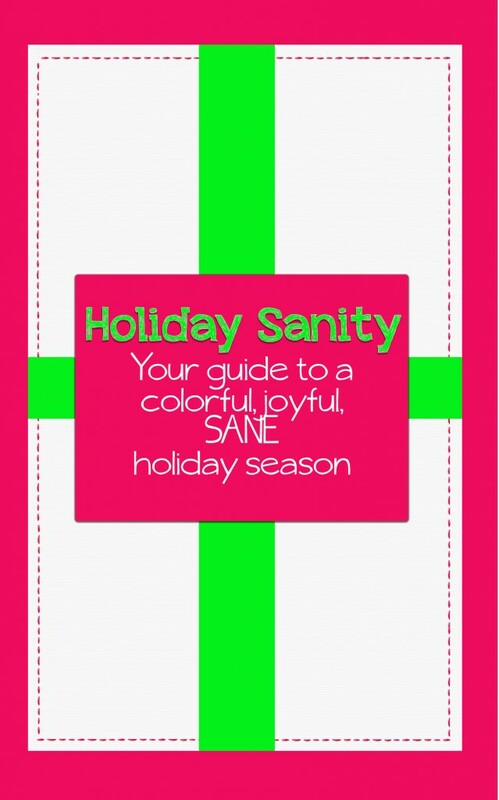 Give Holiday Sanity to your friends + family! Just send me a note (vulcan@taraswiger.com) with your receipt + the email address of the gift recipient, along with any note you want to include. We'll send the Kit directly to the recipient with a clear description and your note! Wait, is this just for people with established businesses? Nope! Every thing we're going to talk about can be applied to whatever is on your plate this holiday. Crafting is crafting, whether you're doing it for 15 aunts or 150 customers. And all of us, whether we have kids, pets, jobs, mortgages or sheep to feed…we all deserve to enjoy the holiday. *Because everyone deserves a great holiday. $5 from every Kit sold will go to My Very Own Blanket, an organization that gives handmade blankets to foster kids.